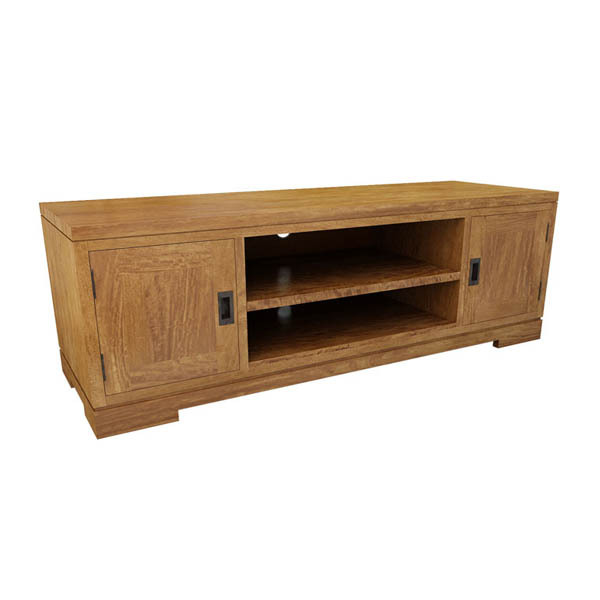 This Rhode Island tv unit offers a low, sleek profile to accommodate wall mounted flatscreens and media equipment. Featuring two stacked open shelves for storing electronic equipment and two drawers with stylish inset metal pull handles. The Rhode Island range commands attention with its refined rustic details, and is a part of our signature mango wood collection.